Up until recently Campers Pantry was best known as producers of high quality freeze dried vegetables Late in 2017 this all changed as they became the newest entry into the Australian freeze dried meal market when they released ten main meal options and three dessert choices. These meals are becoming more widely available and can be purchased online, in store and through Campers Pantry. 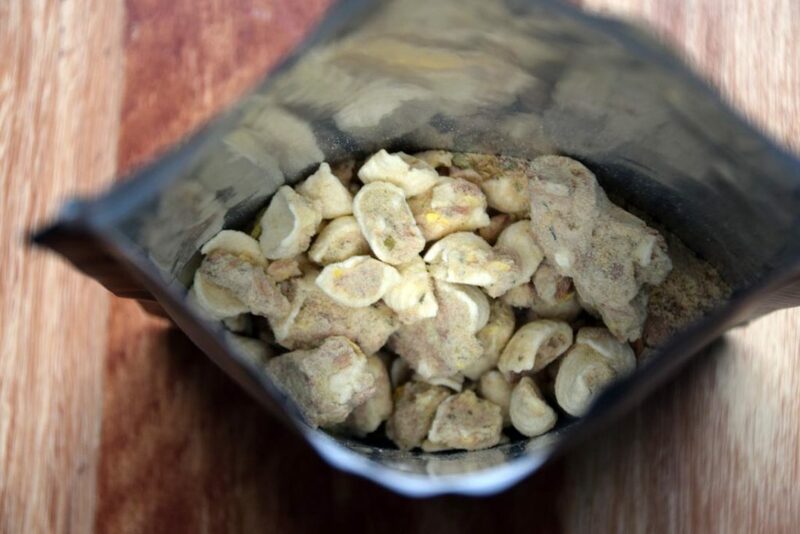 Before I discuss the taste test many of you would be wondering why bother to introduce yet another range of freeze dried meals to the Australian market when the offerings from Back Country Cuisine and Outdoor Gourmet are so well known. Campers Pantry has done the homework and these main meal offerings, which are single serve, sit in the middle (size-wise) of the other two brands at 110 grams. On simple overnight trips, the single serve offerings from Back Country work well but on multi week trips they are just not enough. This larger single serve suits those who have bigger appetites (i.e. Tim) who don’t want to go with the full twin serve option. These meals also offer great variety rather than trying to repeat what is already on offer and which also has the benefit of expanding the freeze dried meal choices available. Campers Pantry has two vegetarian offerings which is a welcome addition to what was available from others. They also taste ‘less manufactured’ which is a bonus on a long trip. 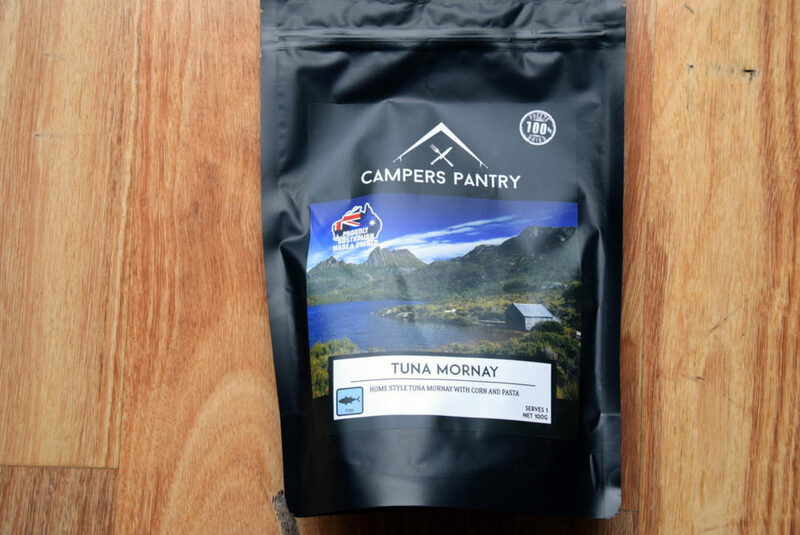 I had the pleasure of taste testing the Campers Pantry Tuna Mornay given that Tim is squeamish when it comes to packaged fish – tuna in particular but it doesn’t end there. I like fish dishes, packaged or otherwise, but I have to confess that I was a little apprehensive about a ‘mornay style’ dish. And that has everything to do with the ‘mornay’ offerings my mother dished up when I was a child. You see not only was my mother a terrible cook (her admission rather than my judgement), she was obsessed with trying every recipe published in the Australian Woman’s Weekly. To be fair there were some great successes including her date bread, scones and fruit cakes – on reflection that indicates her forte was more on the baking side but she couldn’t stop there – who was going to feed all those kids? And the problem with my mother’s tuna mornay? It was smothered in a white tasteless sauce. The tuna had taken on some of the blandness but it an odd way! There – I said it. Despite these early experiences, I have continued to eat fish of all kinds and always do so on the trail. Given the dishes we have already tasted from Campers Pantry I was optimistic. The consistency of Tuna Mornay is good and you can actually recognise the tuna – and there is plenty of it providing a much needed protein boost. The sauce is there but its not the usual white creamy bland abundance (which I’m sure was more about disguising the absence of tuna!). The sauce is definitely not bland but is perhaps more subtle than I expected. I enjoyed devouring this meal without having to protect it from the hungry hordes (i.e. Tim). Having said that, Tim did have a taste which didn’t result in his usual noisy protestations and funny facial expressions. The other good news is Campers Pantry meals have a high protein content which is so important particularly over the longer trips. 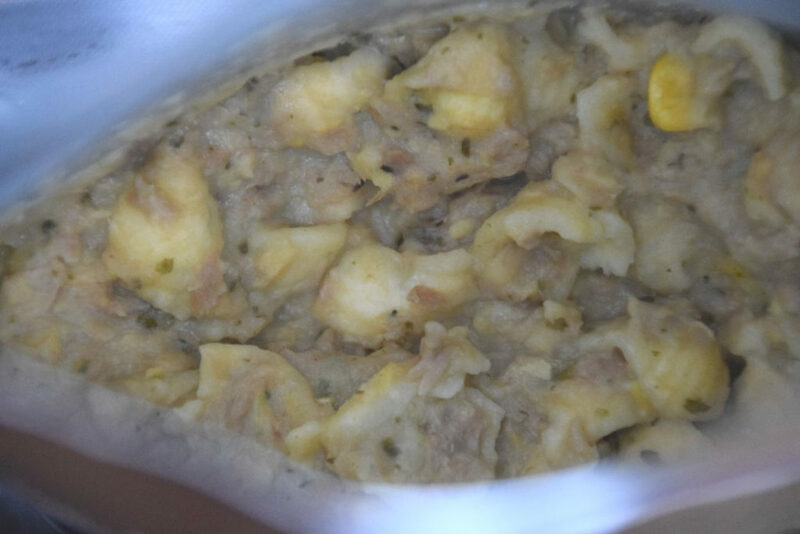 The Tuna Mornay has 38 grams of protein per single serve pack which puts this one about the middle of the range in terms of protein content given that other meals from Campers Pantry have a higher protein content again. And the calorie count for a single serve is also much higher meaning you can minimise the weight you carry to get the appropriate amount of food (listen our Podcast 057 on nutrition on the trail on the importance of protein on longer trips). 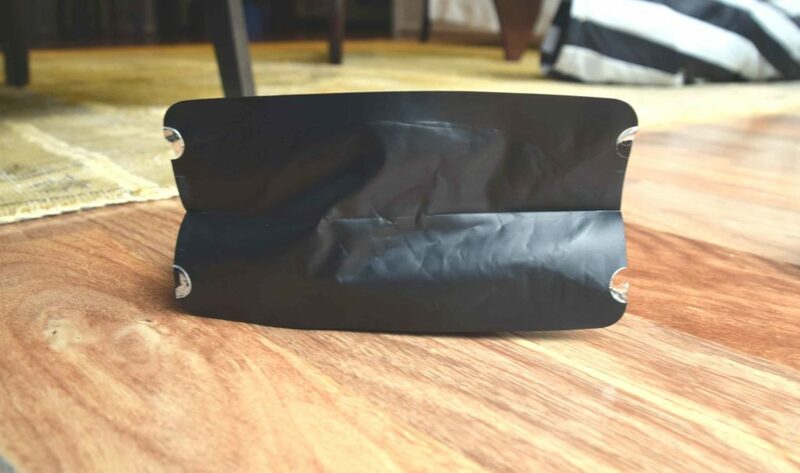 The Campers Pantry bag recommends adding 250 grams of boiling water to rehydrate this meal but the supplier informed us when he reprints the bags he will increase this recommendation. I initially added 300 mls and found this was about right to get a good consistency. Campers Pantry recommend allowing 20 minutes for rehydration with an occasional stir and partly this is due to the extra protein in the meals requiring this additional time to absorb the water but also because the 10 minutes that the other manufactures recommend is not enough. As we test the full range over the next few months we’ll see if shorter times work but I’ll stick with the 20 minutes for the Tuna Mornay. So what is the final verdict? The Tuna Mornay is great tasting. You can tell by the taste and texture that the meal contains lots of tuna. I will definitely keep this one on my meal list for multi-day hikes.